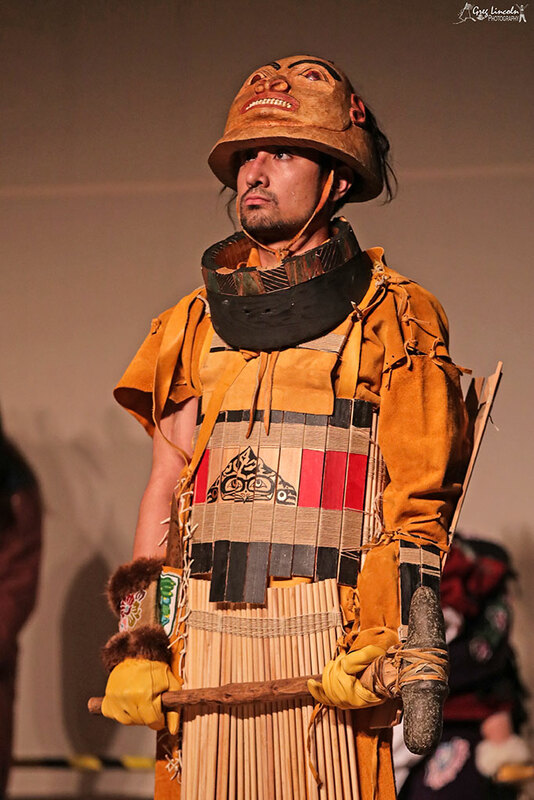 Cama-i Festival opening night - The Delta Discovery, Inc. 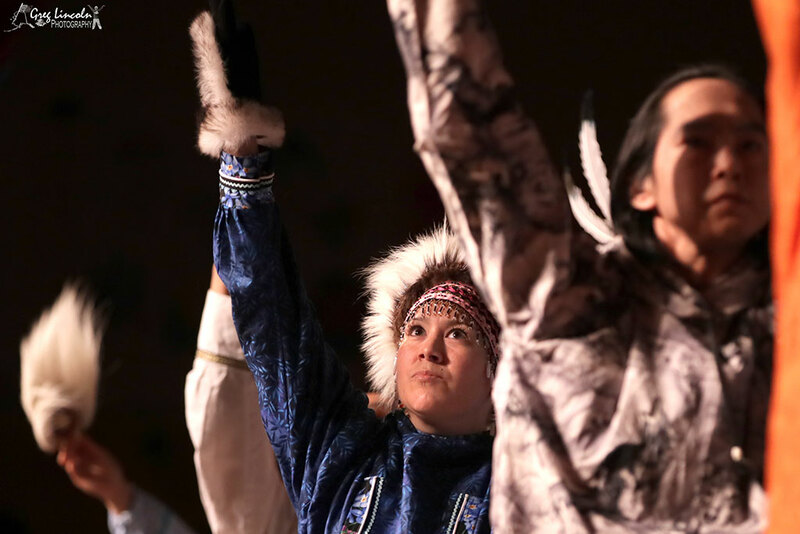 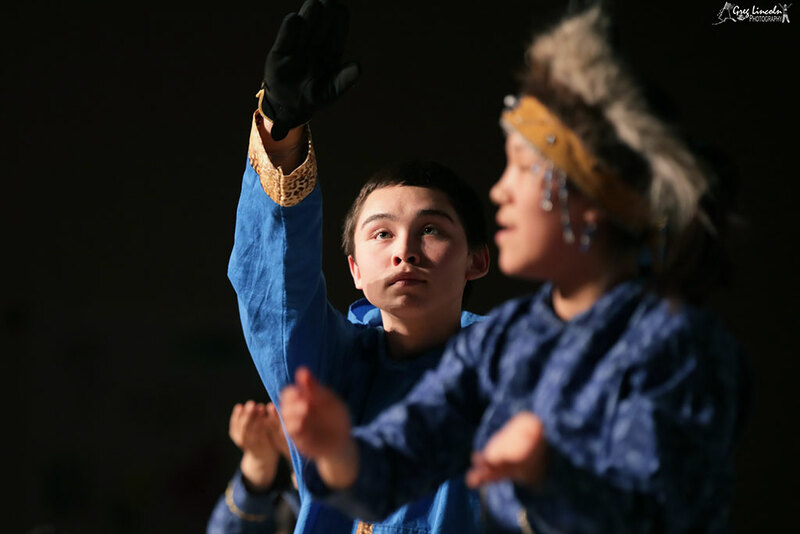 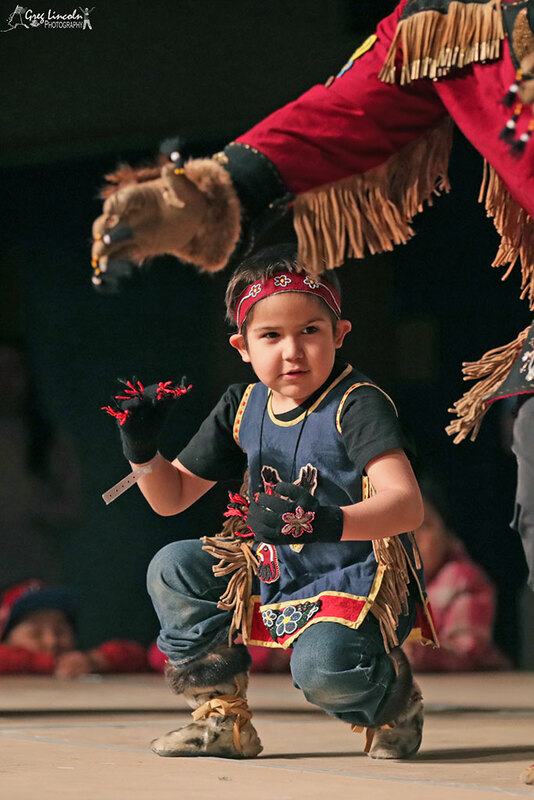 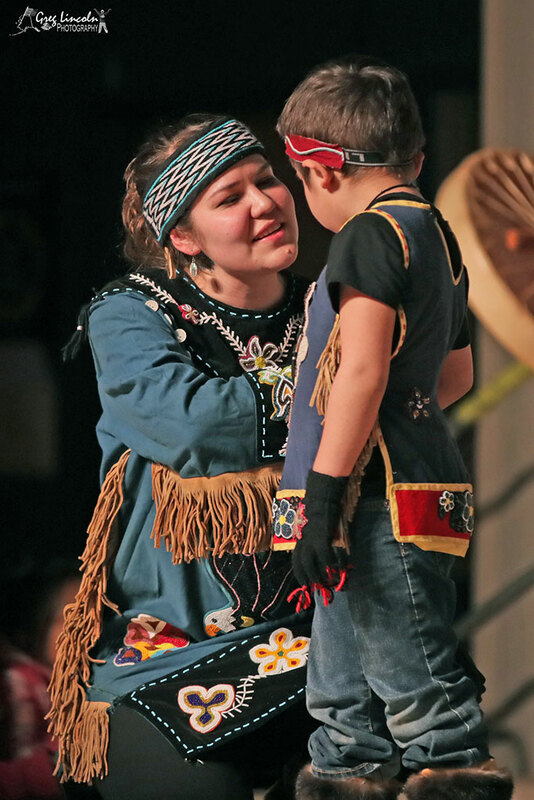 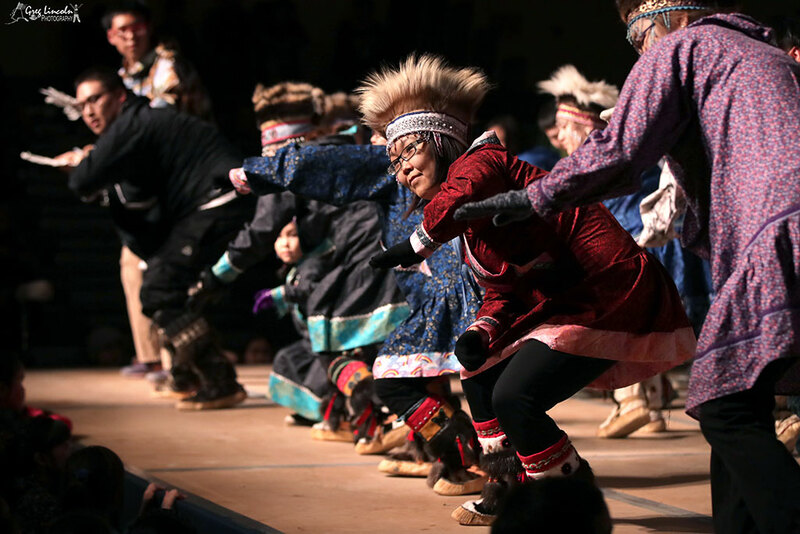 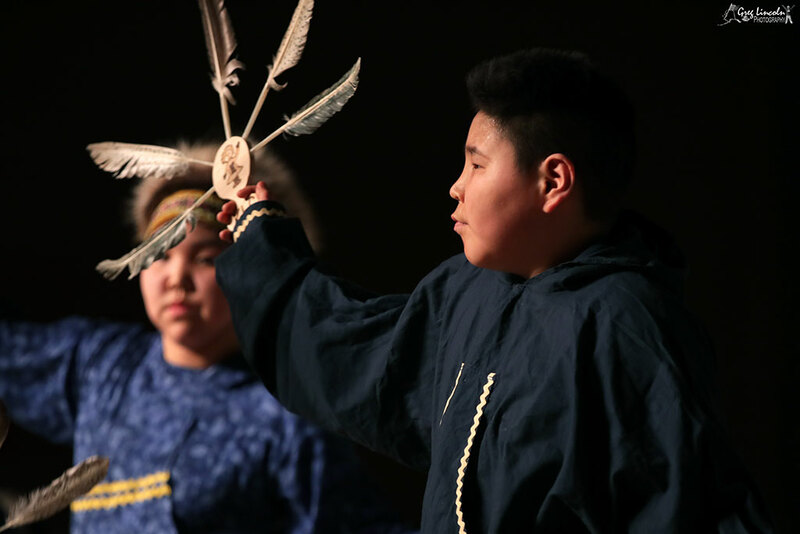 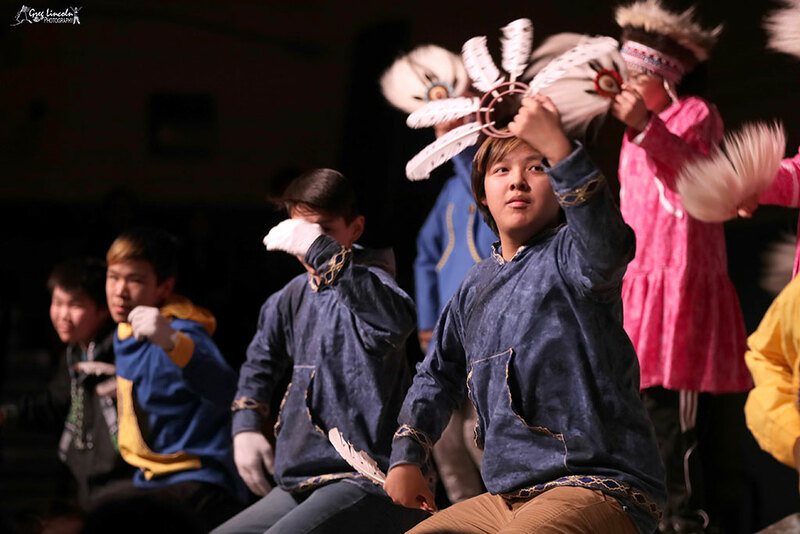 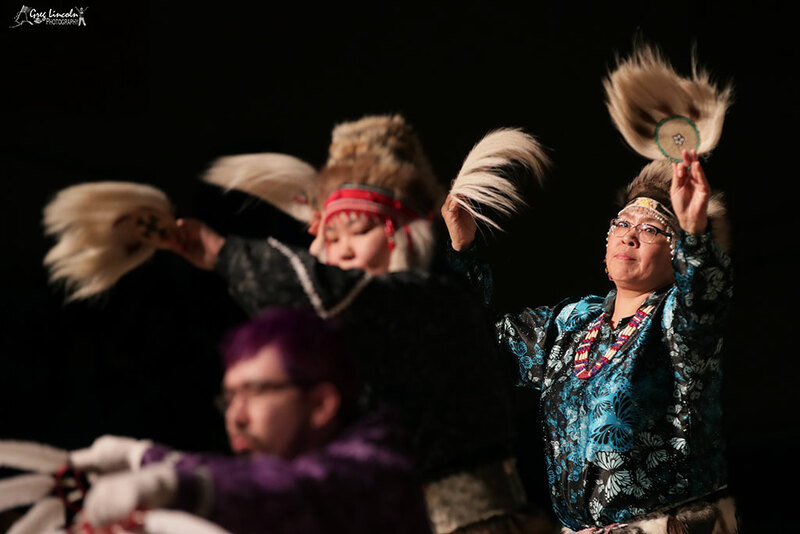 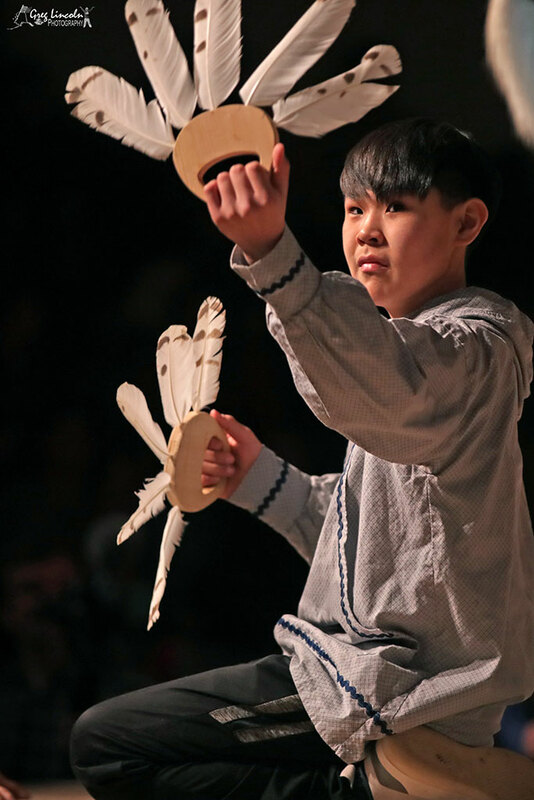 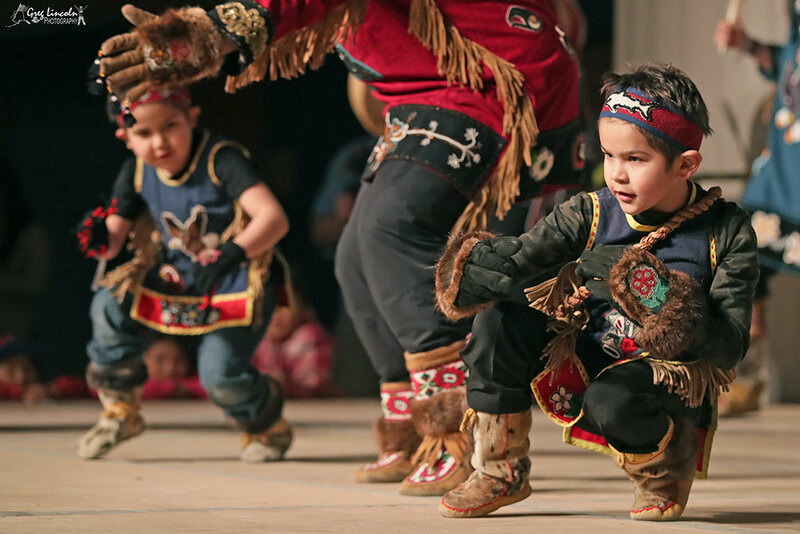 The Cama-i Dance Festival opened tonight, Friday, March 29th, 2019 with traditional dancing featuring local, regional, and statewide groups. 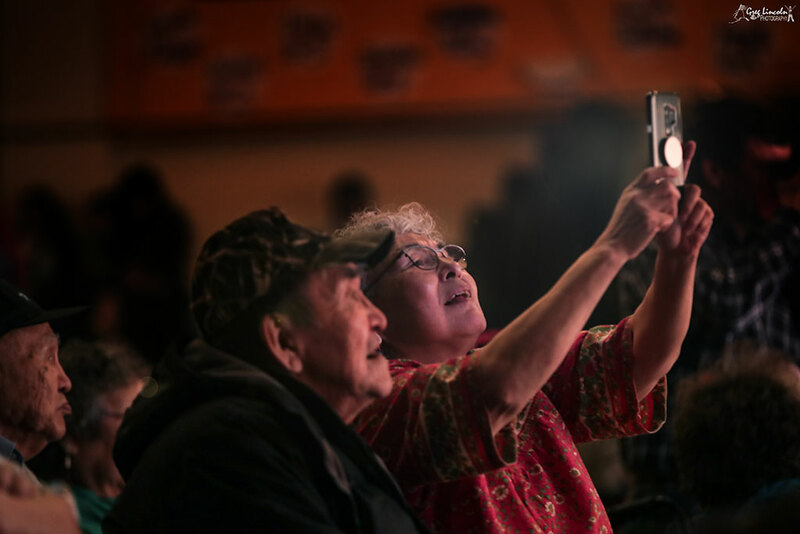 Cama-i Co-coordinator Linda Curda and Orutsararmiut Traditional Chief Louie Andrew gave the welcome address along with the Lighting of the Flame. 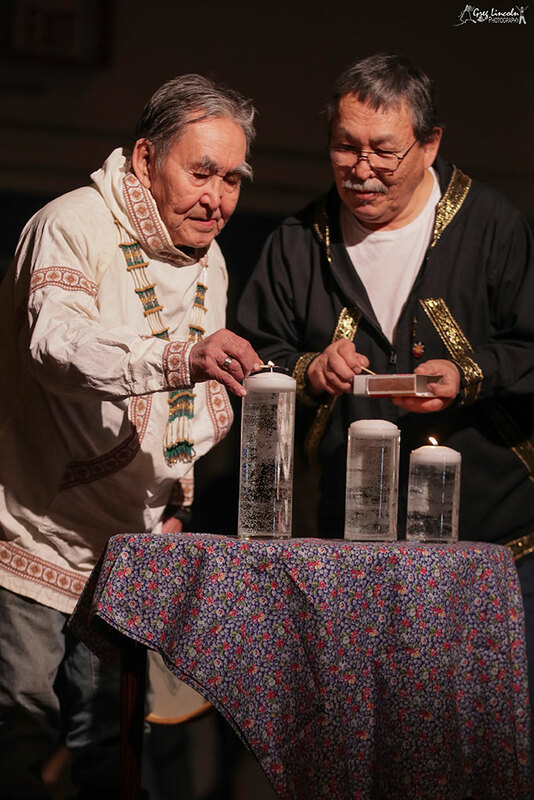 Curda facilitated the flame lighting with three different generations each lighting a candle. 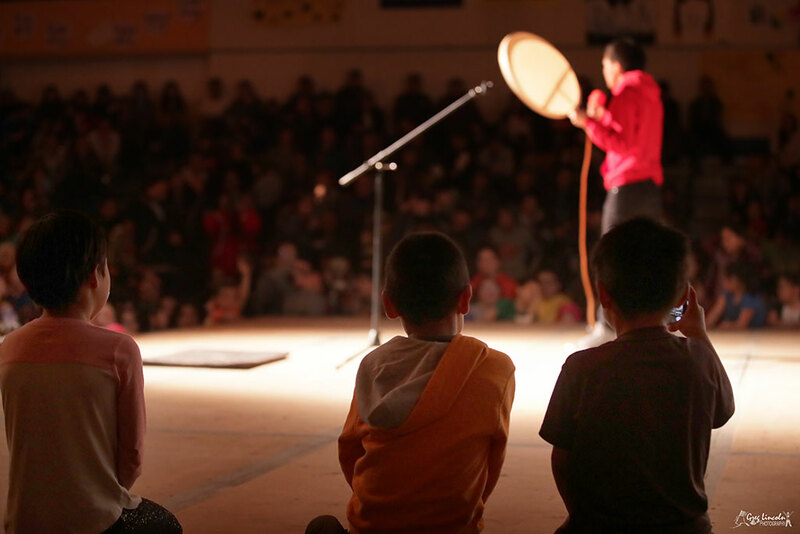 The youngest flame lighter lit the shortest candle and the eldest lit the tallest. 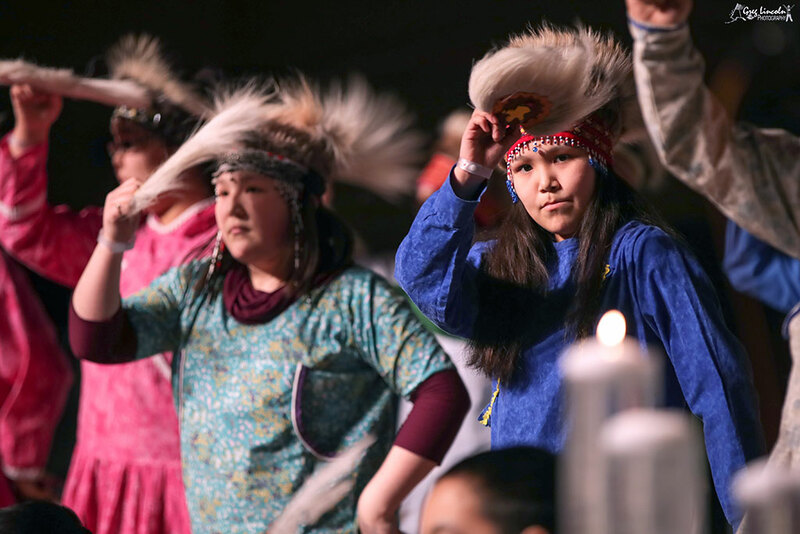 Helping light the candles was Chief Louie Andrew. 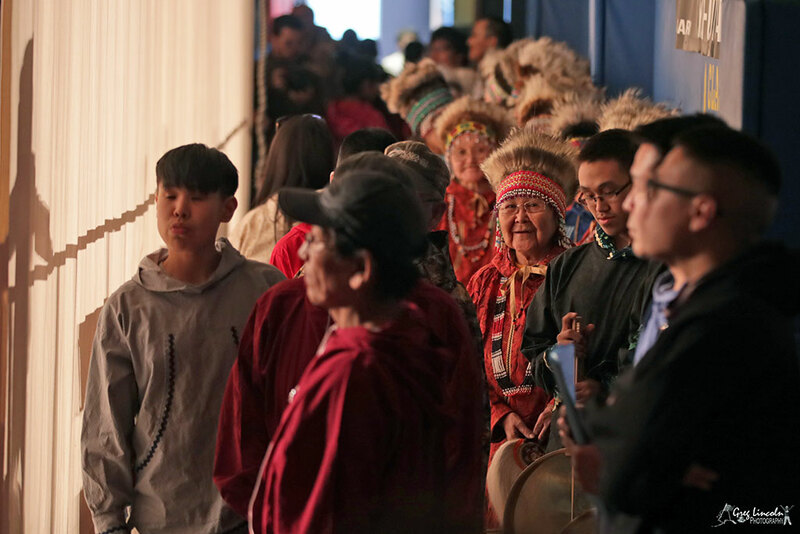 “Welcome to all, thank you for being here,” he said. 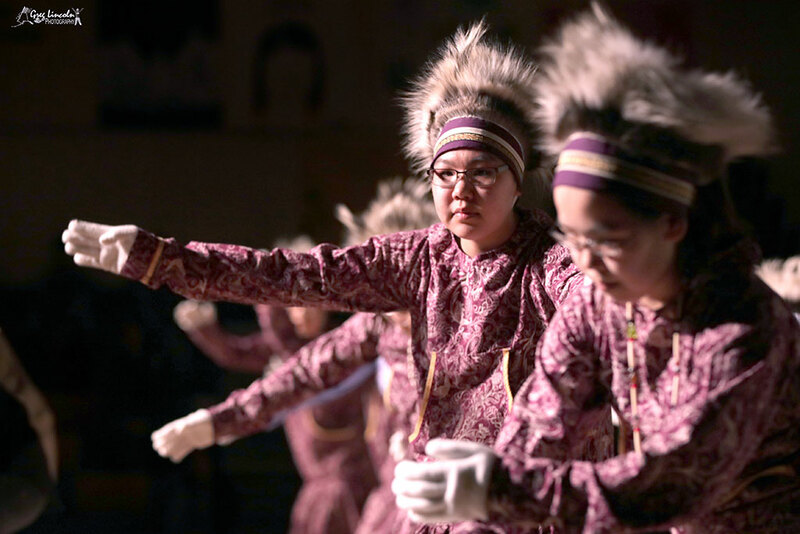 The first group to dance were the Bethel Regional High School Warrior Dancers. 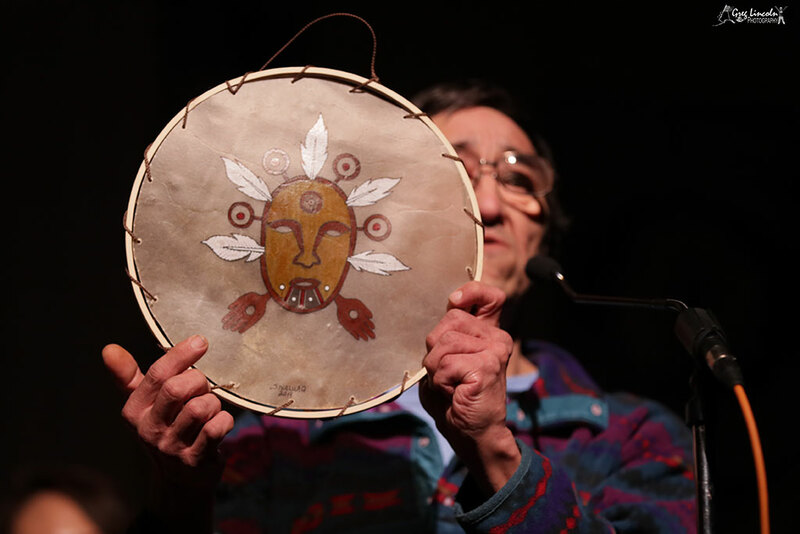 Lead singer for the group was David Nanalook. 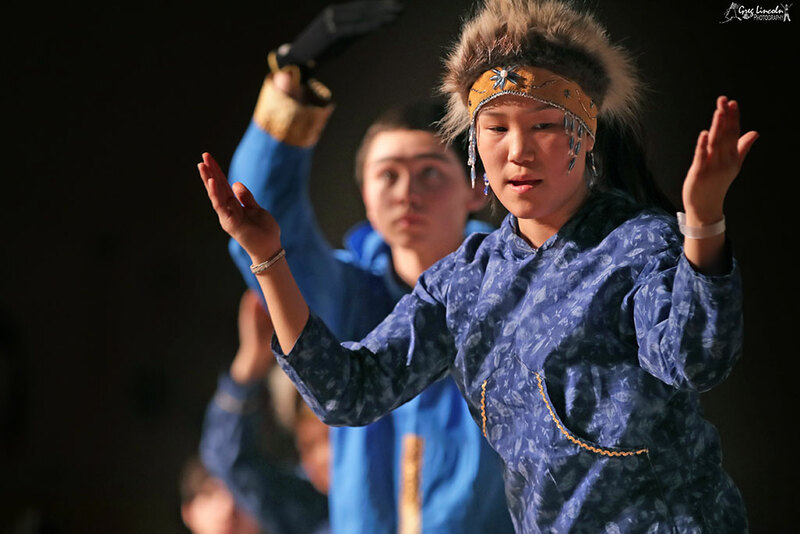 Another high school group, the Kuskokwim Learning Academy dancers took to the stage right after. 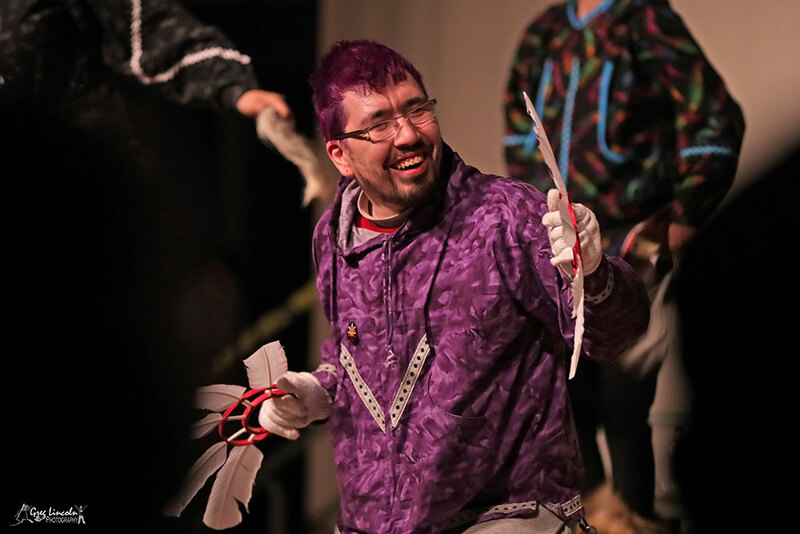 Lead drummer and singer was Cody Pequeno who urged everyone to dance as hard as they could. 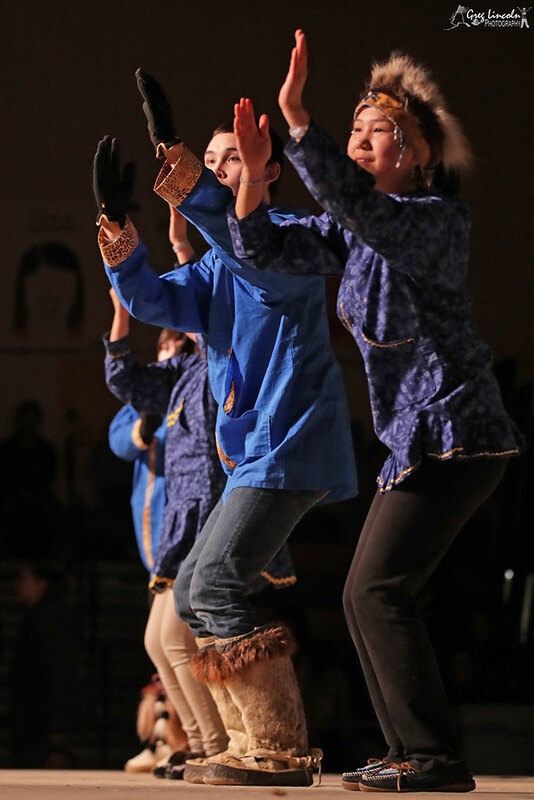 Wearing matching bear print logos on their qaspeqs, the Kwethluk Dancers performed next. 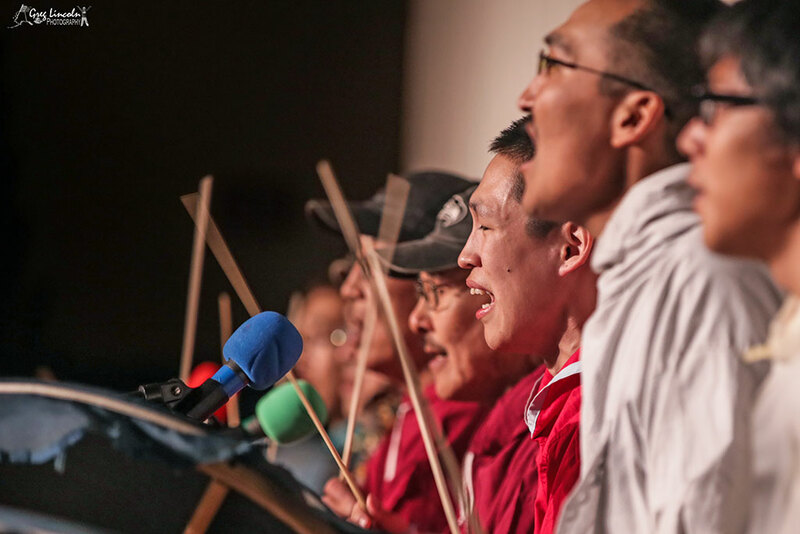 They used nice sounding drumming techniques during their driving song which featured motions of turning a key. 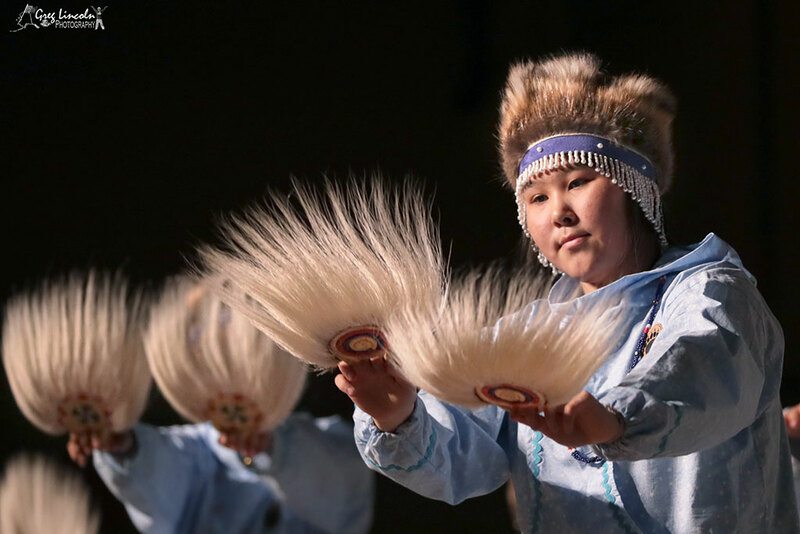 The Caputnguarmiut Dancers of Chefornak performed in memory of one of their own, Walter Lewis. 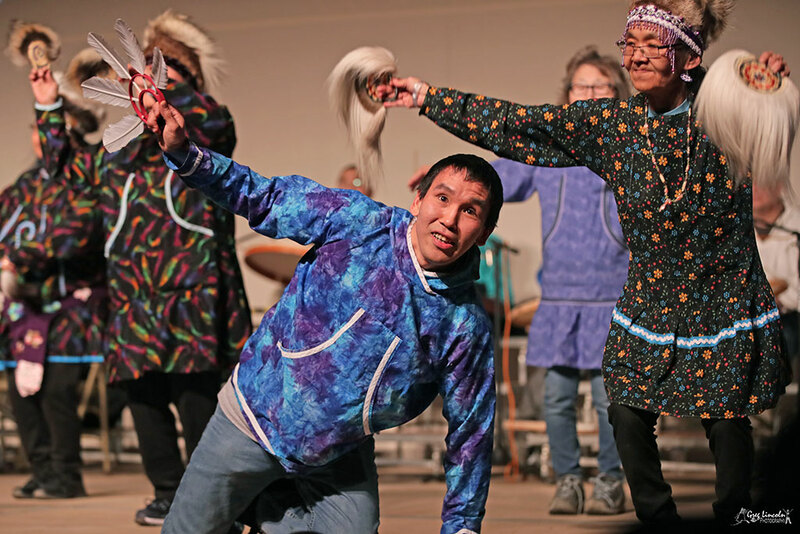 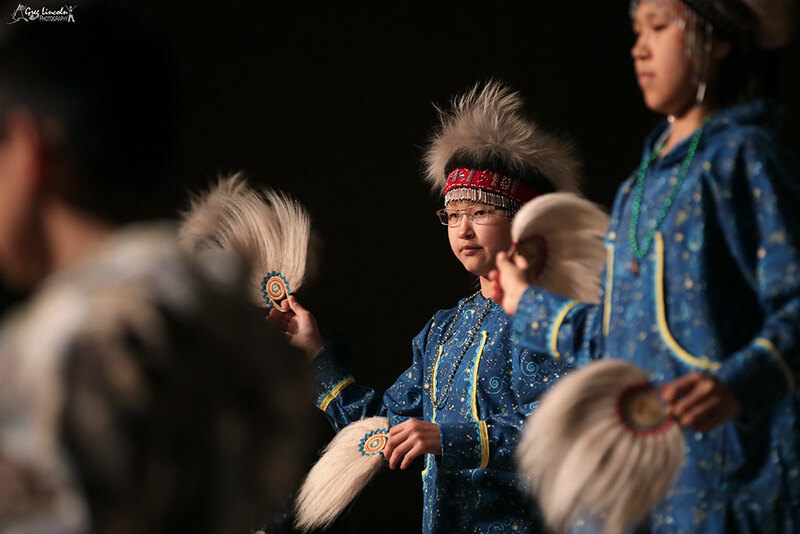 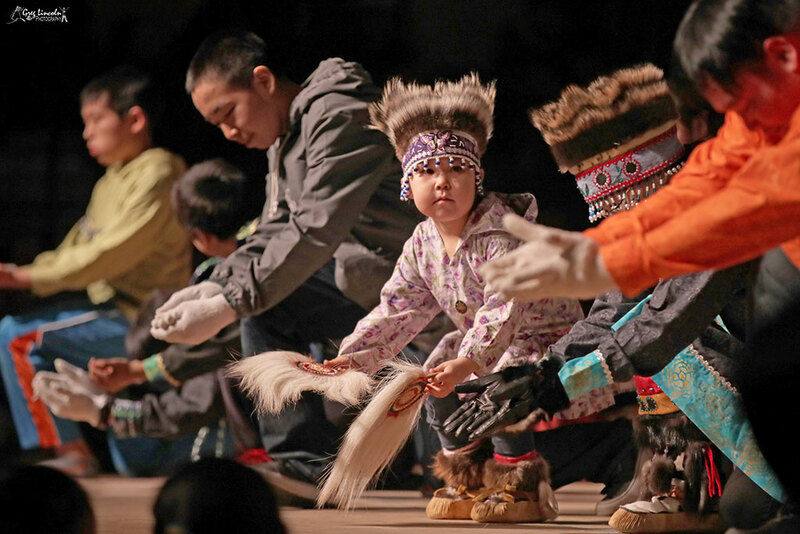 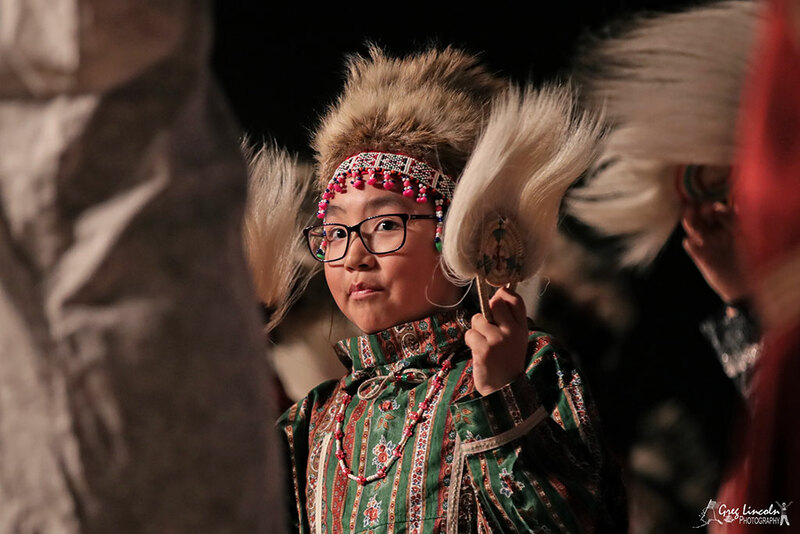 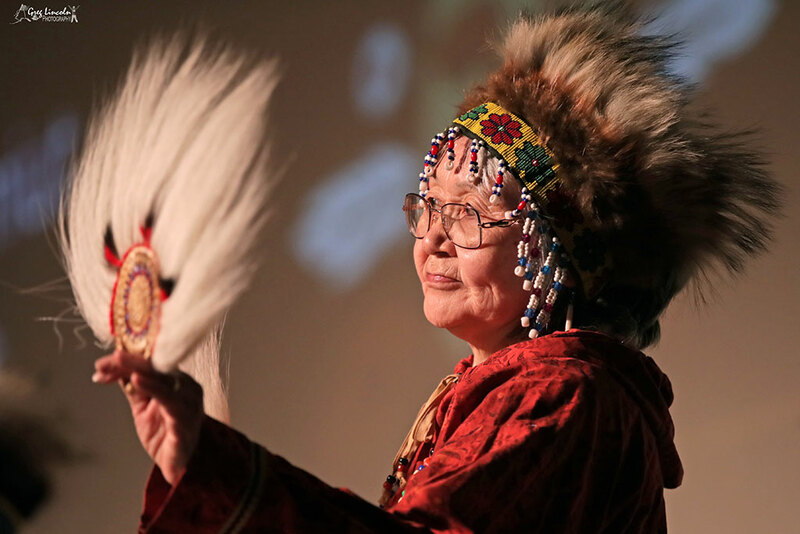 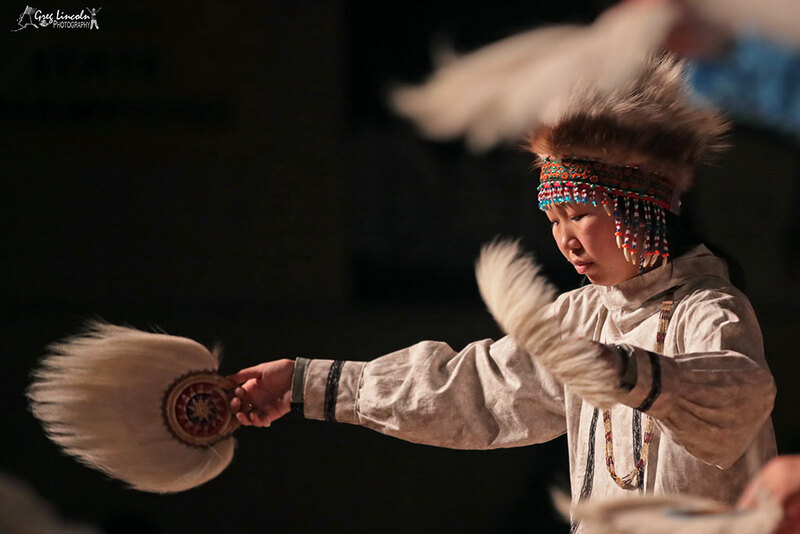 The Cama-i Festival this year is dedicated to Lewis in remembrance of his support and enduring devotion of the tradition of Eskimo Dancing in their community. 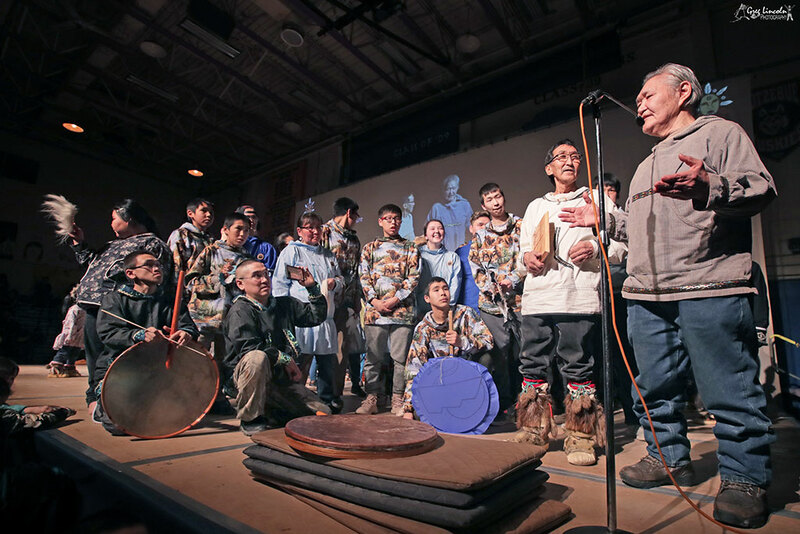 His wife Julia, surrounded by her family members, accepted the plaque on the Cama-i stage. 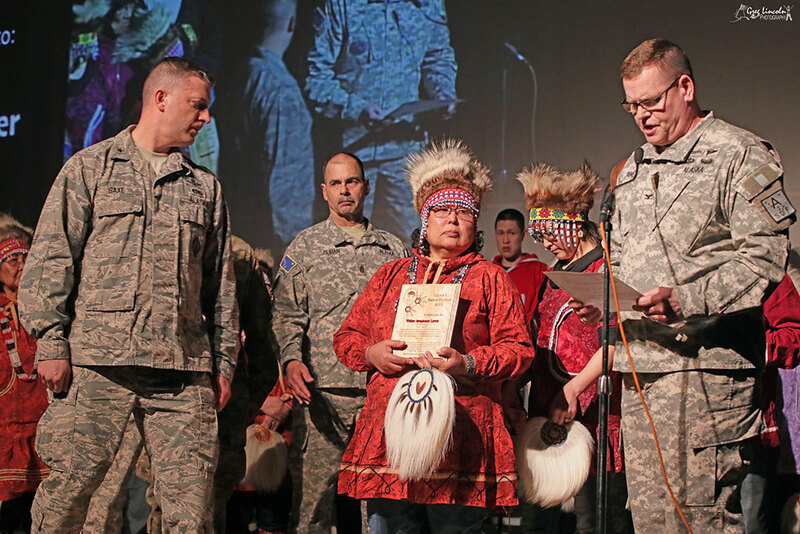 Adjutant General of the Alaska Army National Guard also made a presentation to Julia, for his 32 years of service. 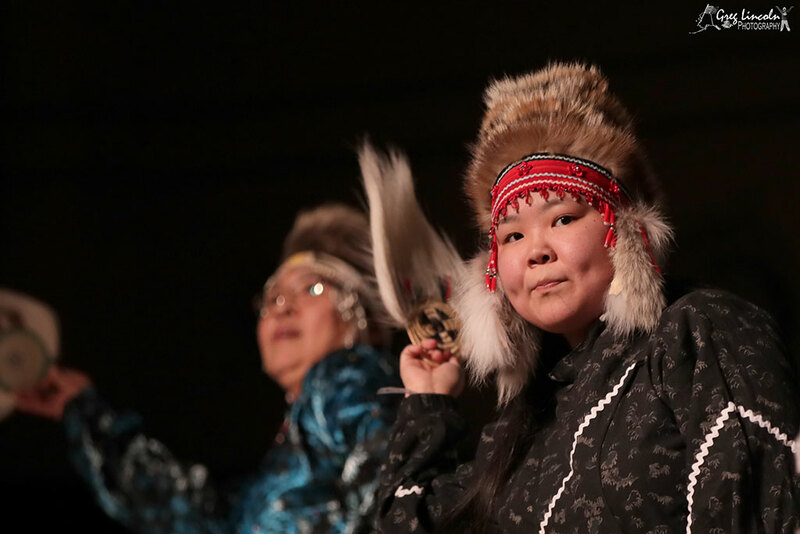 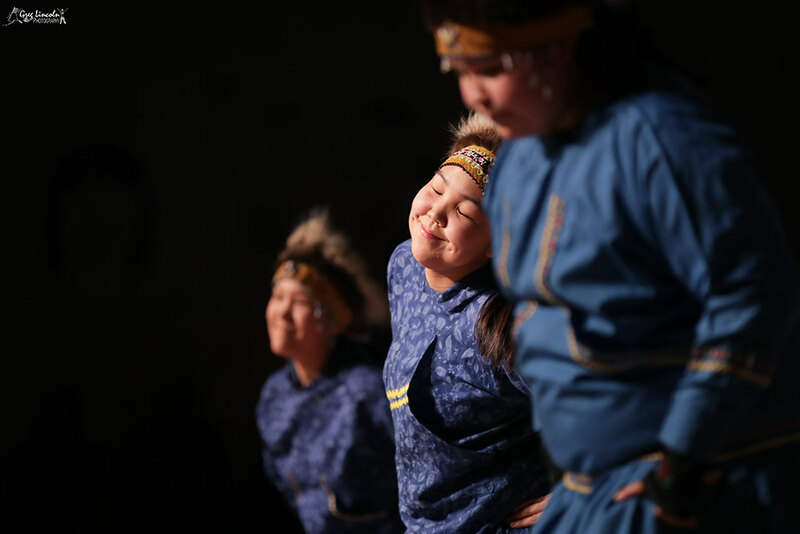 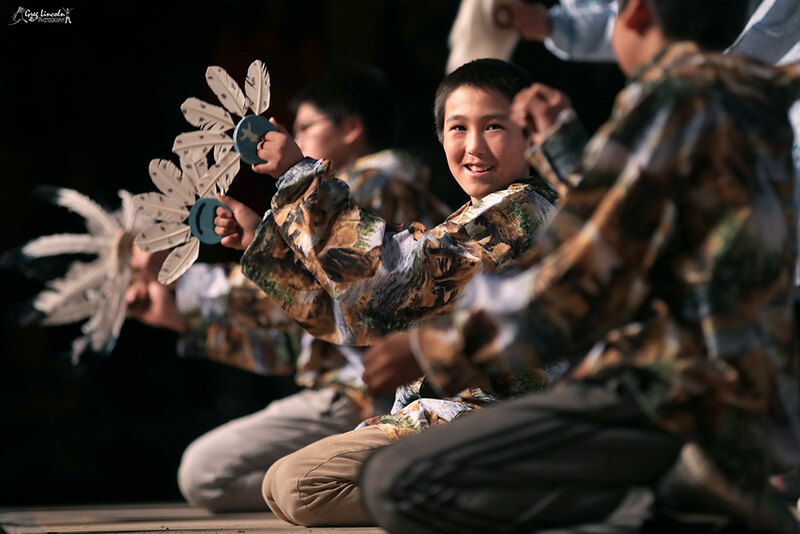 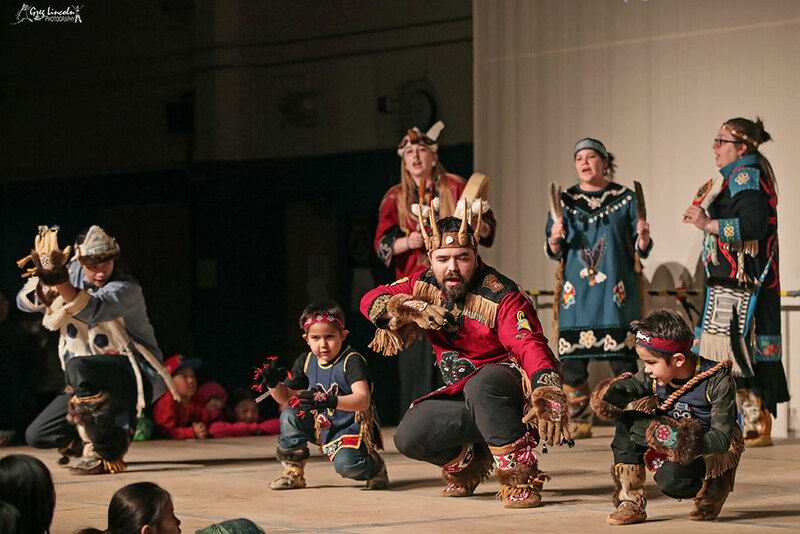 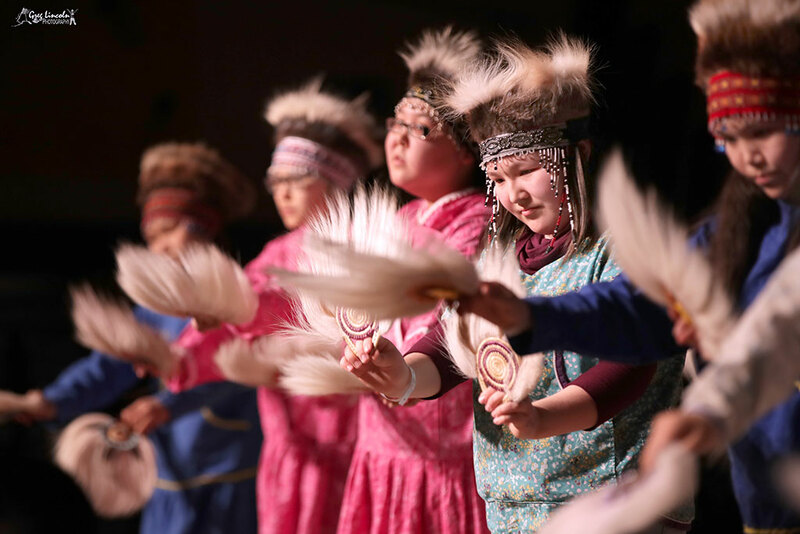 A new group, the Tuluksak Wolverines Dance Group, made their first appearance on the Cama-i stage. 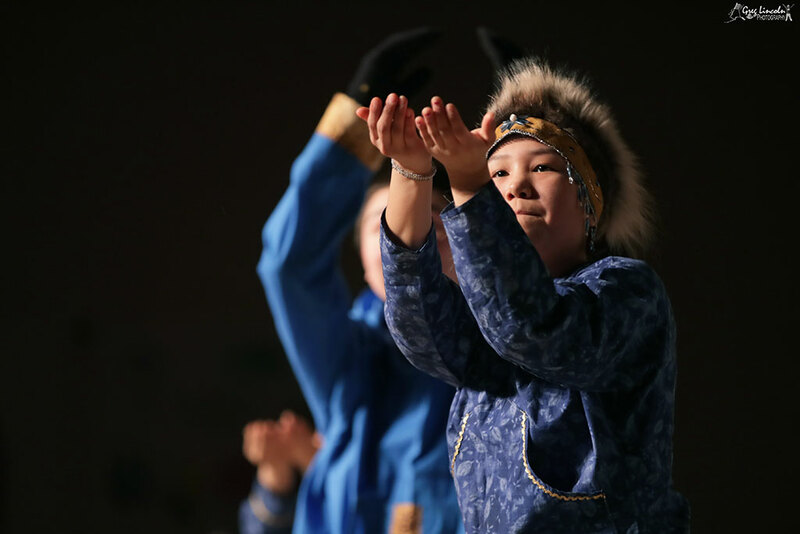 They have been practicing for only 3 months. 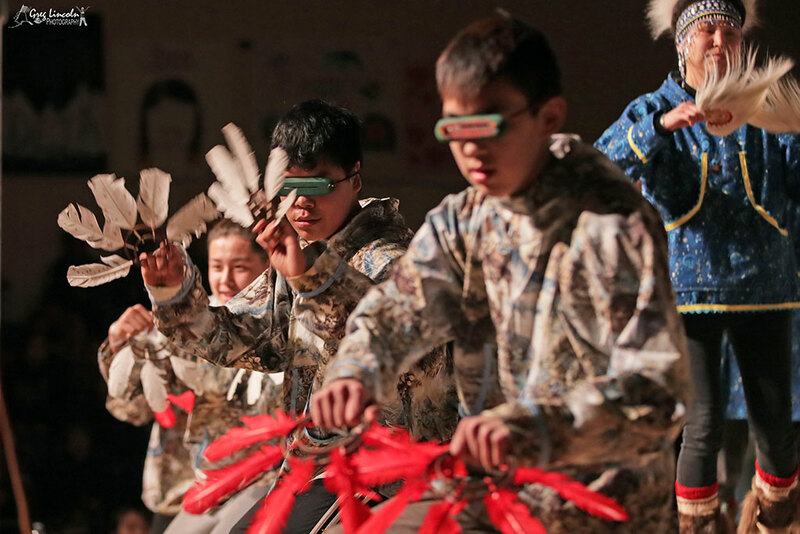 During a couple of their latter songs, the boys wore snow goggles that they had made, making them an interesting group to view. 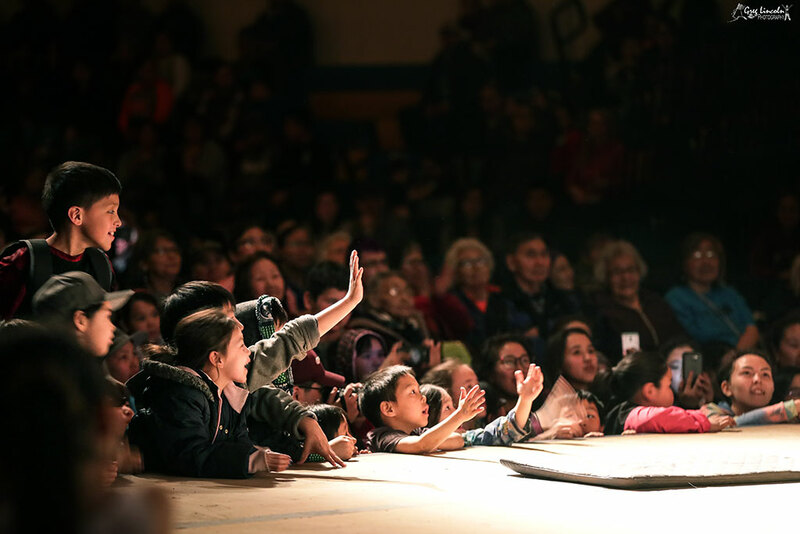 To the delight of the younger crowd at Cama-i Byron Nicholai of “I Sing. 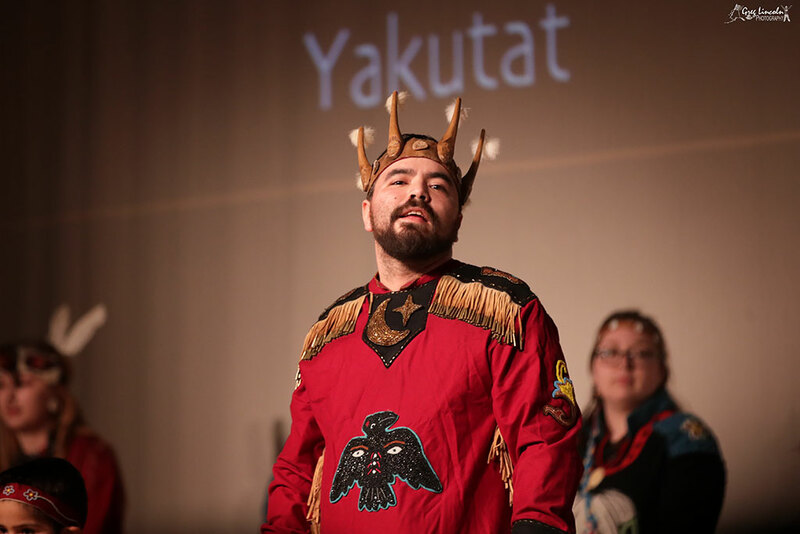 You Dance.” performed, including his Cousin Song, some new rap songs, and a new unreleased song entitled “Older Than Thou”. 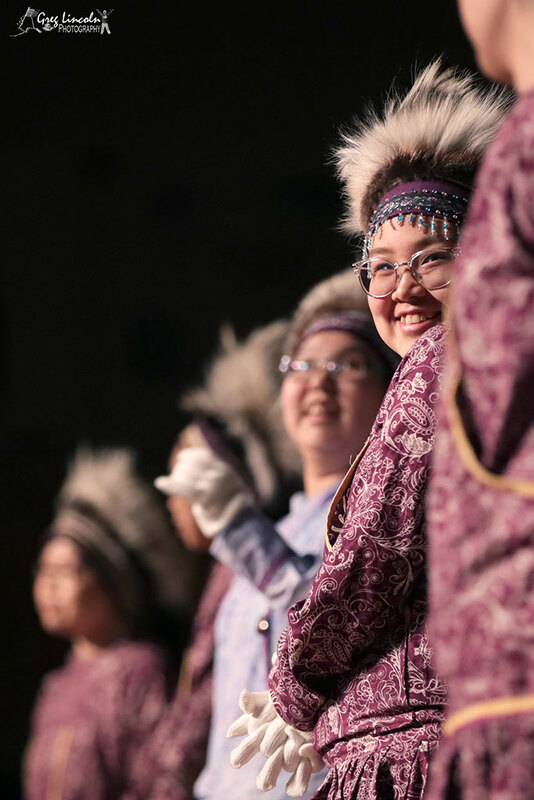 He ended his time on stage with the crowd favorite “Wangkuta Alaska-mi”. 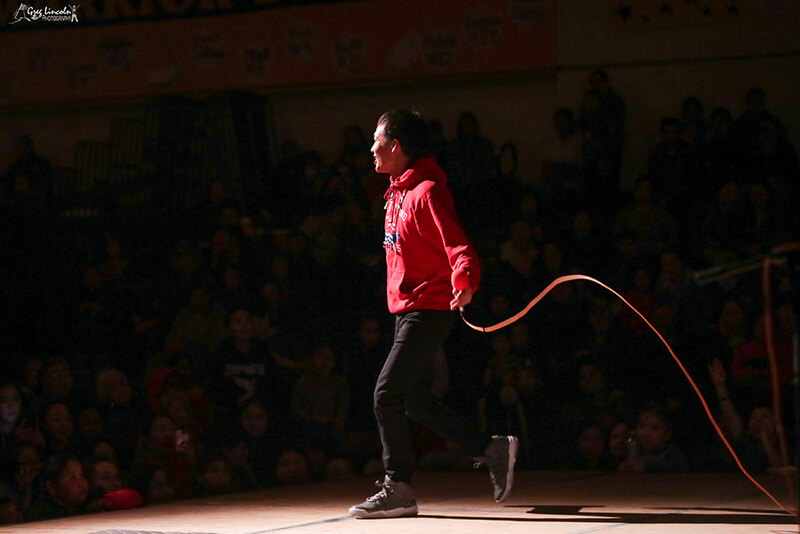 And filling the stage and gym with their commanding presence were the Mt. 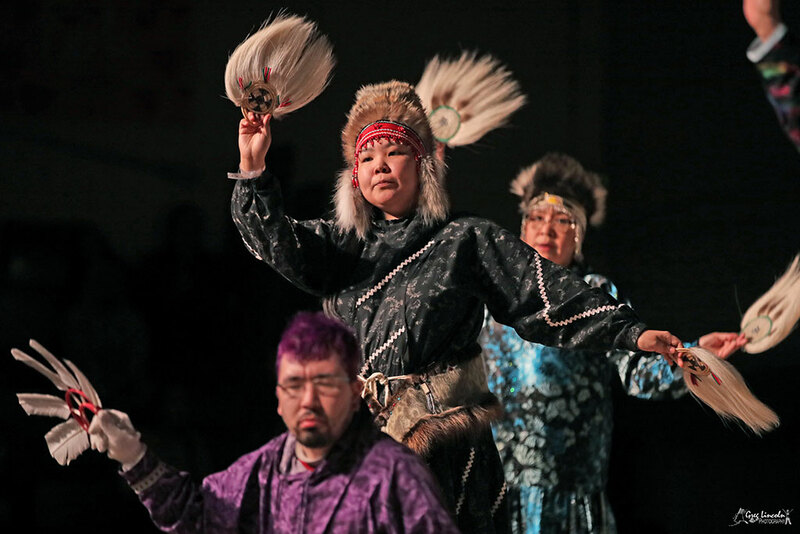 Saint Elias Tlingit Dancers of Yakutat. 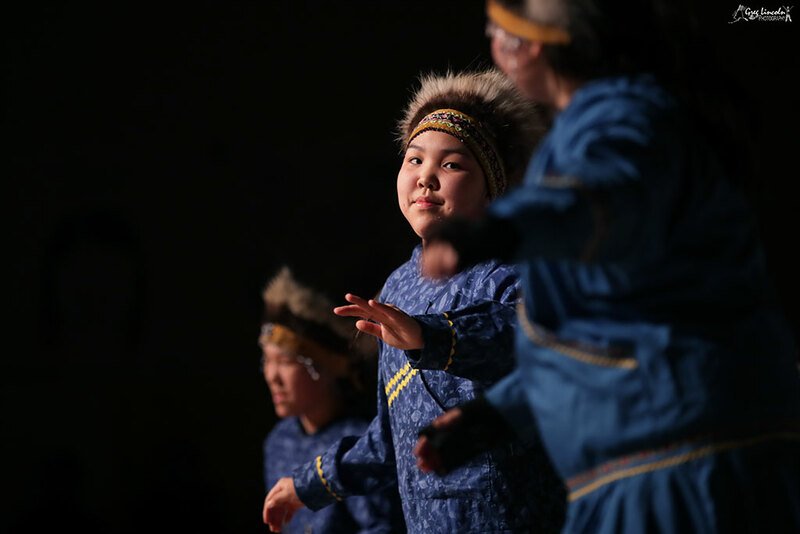 Their warlike image and strong performance kept every eye glued on them as they sang and danced in the Tlingit style and tradition. 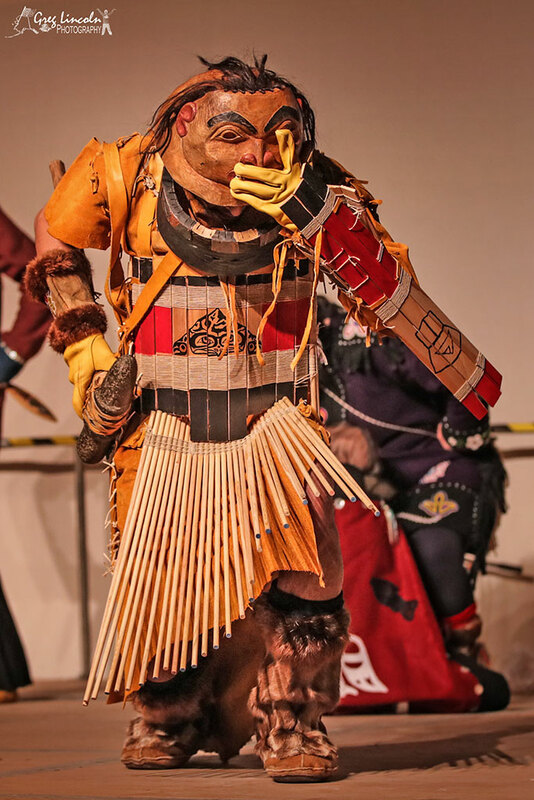 One dancer had on a wooden carved mask that covered his entire head. 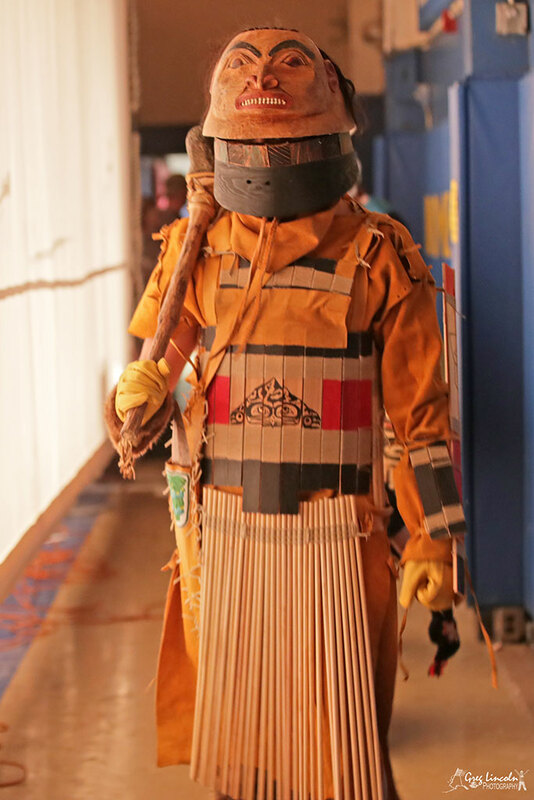 He was dressed in armor made of wood. 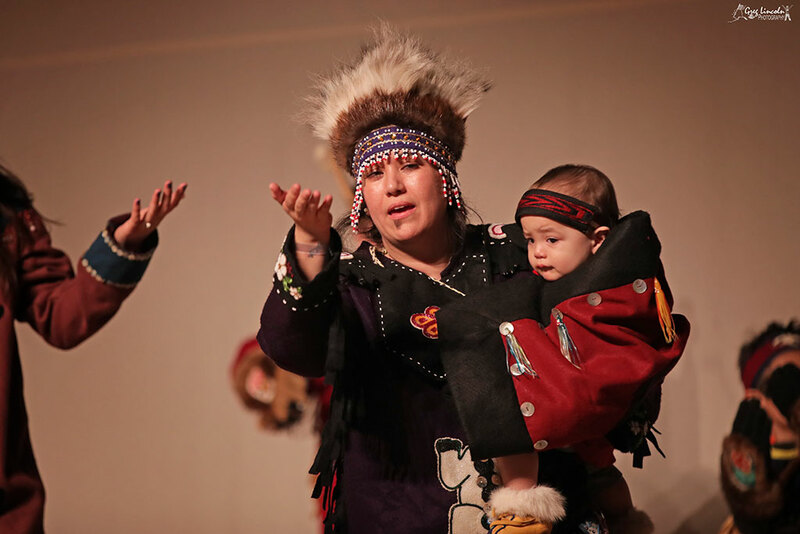 The littlest dancer was around 1 year old and he was included in the dance in his mother’s arms. 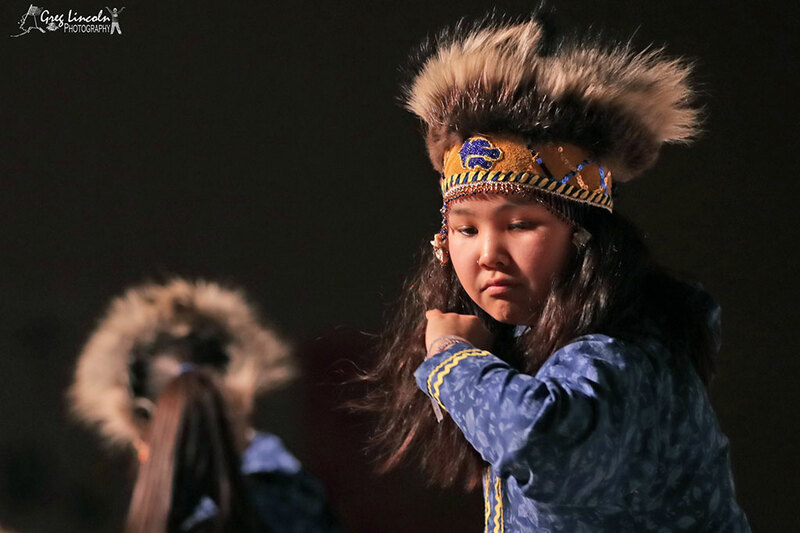 The night ended with the Kalskag Dancers led by singer and drummer Marie Dorris, the Sampson Brothers and Family Hoop Dancers, and the Bethel Regional High School JROTC Rifle Drill Team.